Have you ever felt overwhelmed by the chaos in your life? Ever felt like running away because it was all too much? Wanted to hide in the closet for a moment’s peace and quiet? You know what you need? Some good ole mom humor! If you need a break from the realities of this motherhood gig, wrap yourself up in the comfort of a book from someone who gets it. Heather chronicles real-life humiliation, embarrasses herself frequently, and shares the joys and heart-aches of helping her ADHD son find his place in the world while ensuring his brother doesn’t get lost in his shadow. A successful day sometimes is simply managing to complete yoga class without passing gas. 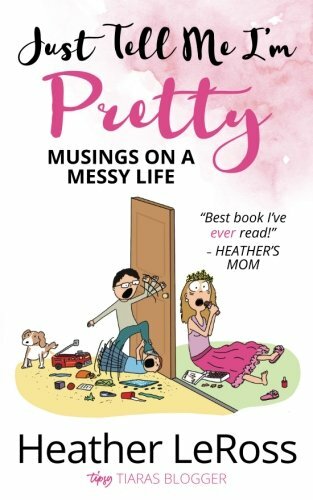 Grab your copy today – after all, it’s the best book Heather’s mom has ever read!